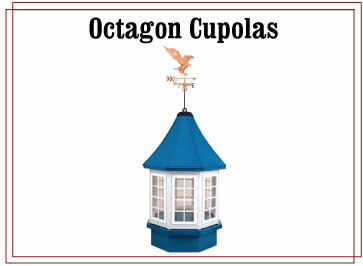 Thinking about adding a decorative cupola to your house, garage, metal building, or barn? 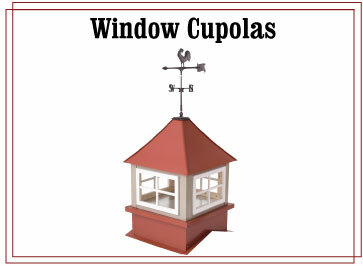 Metal Cupolas has you covered! 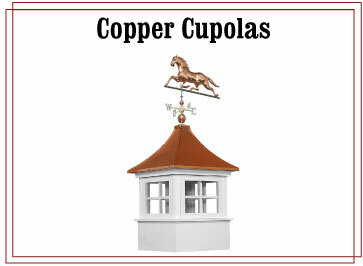 Cupolas offer a unique touch, produce light, and add ventilation into to your building. 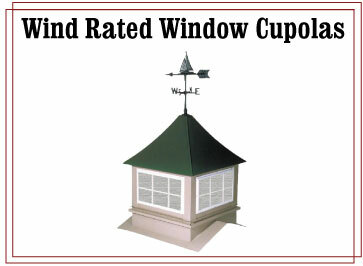 Our cupolas come in a quick easy to assemble knocked-down kit, complete with assembly instructions for mounting your cupola to your roof. We have several color options to choose from and can match almost any building manufacturer's colors. 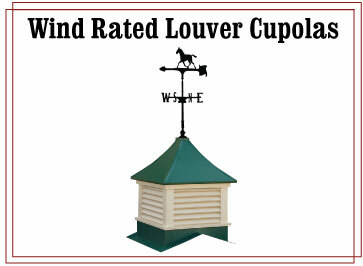 Our Cupolas are extremely durable and built to last for years to come. We offer a wide selection weathervanes.